More wrestlers, more venues, better graphics, options galore! 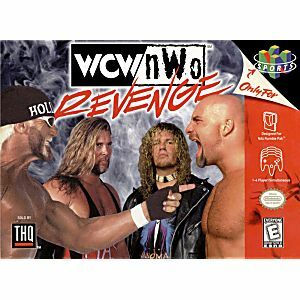 WCW/NOW Revenge has more than 60 wrestlers for players to choose from, including all of the top WCW and NWO superstars! 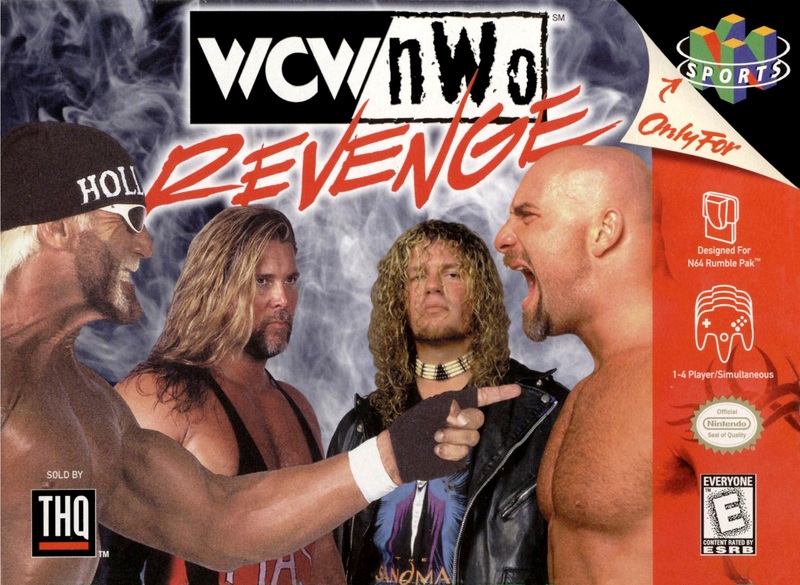 Awesome new features includes wrestler entrances, all the real WCW belts, hidden weapons, instant replay, completely updated roster and complete user stats and arcade style scores. Enjoy real pay-per-view arenas, 40-man Battle Royale mode, and a costume editing feature! See it for yourself, get your Revenge! This game is amazing! It arrived it mint condition.I believe this game is 20yrs old it it looks brand New! This game brought back memories when my cousin and I played this game to death back in the day. I showed it to him his jaw dropped. Hi exact words were “We’re playing that tonight!” Nwo, Wolfpack, Sting, Goldberg The list goes on. If your a wrestling fan this is a must buy. Good quality works great, a few intents on the front sticker but overall decent. This is another one of those old wrestling games I feel the new wrestling games could learn from. Huge roster and fun gameplay! One of my favorite childhood games. Great Shipping. The game works and everything. I am buying from Lukie Games again. This is one of my favorite wrestling games of all time and the shipping was fast and it came in great condition great game and thank you lukie games. Works Great & a MUST Have!! This was my go to game for blockbuster rentals when I was a kid. Whether you were raised on wrestling or not, this is a fun beat 'em up with simple controls that allow newbies to compete against veterans. Other than the graphics every thing holds up really well. Game came earlier than expected and in great condition. Very satisfied with my purchase. Game works perfect and is still fun despite how old it is.